No one wants to sit around at home with no excitement on New Year’s! For New Year’s 2013, get out of the house and try visiting one of the best cities in the country for New Year’s parties. Even if you’re not a fan of getting completely wasted and making bad decisions (that’s a good decision on your part), there is still potential to have the best New Year’s you’ve ever had by visiting the right city. And if you shop right, you can end up saving money and still doing a whole lot. Here are the 5 best cities to party on New Year’s 2013! New York City is an obvious choice for New Year’s 2013, likely because Americans have been watching the ball drop in New York for longer than most people can remember! New York City is an ideal place to go if you’re trying to party and have fun on New Year’s. During the day, keep it lowkey by seeing the sights with Gray Line New York. You’ll want to save yourself for the night’s debauchery! Head to Times Square to watch the ball drop and then get ready for a night of festivities. 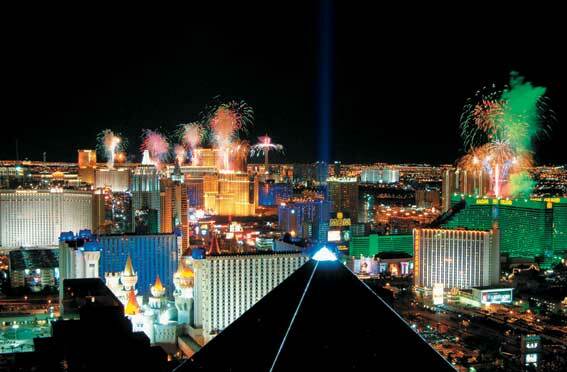 There are few ways you can better spend your New Year’s than by going to Las Vegas. Everyday of the year, there’s a party in Las Vegas and that only gets amped up when it comes to the New Year’s parties! For New Year’s 2013, head to one of the many parties in Las Vegas and let loose. One of the hottest events for New Year’s 2013 in Las Vegas is the NYE Spectacular with Bruno Mars at Cosmopolitan! San Diego doesn’t have the most well known New Year’s party scene and rightfully so! This is definitely the most laid back city on the list but is by no means a tame choice. San Diego has the perfect weather for New Year’s 2013 and the downtown area is sure to be wild! Head to one of the bars in the Gaslamp District downtown for a higher-end New Year’s experience or try Pacific Beach for something a little more fratty. If you’ve never been to Chicago before, there’s no better time to visit than New Year’s! Unless you hate the cold, that is, since there’s a pretty decent chance you will see snow if you visit Chicago for New Year’s 2013. Regardless, there are plenty of ways to have a crazy good time in Chicago, especially on New Year’s. Try watching the firework display from Navy Pier and then head to Wrigleyville for a riotous night! And if you’re up to it in the morning, check out Smart Destinations and make a plan to see some of Chicago’s sights. Another city with perfect weather for enjoying New Year’s 2013 is Miami, FL. Also, it’s pretty common knowledge just how crazy nightlife can get in Miami! New Year’s 2013 is no exception. Plenty of beach bars and nightclubs will be throwing special events on New Year’s. Try Nikki Beach for a guaranteed great time! On another note, when visiting Miami for New Year’s 2013, forego booking a hotel in favor of booking a vacation rental from HomeAway. By Allison Preston. Allison is an avid sports fan and an experienced writer with a passion for deals and coupons and for saving her readers money. She currently writes for leading coupon and online promo code site bluepromocode.com based in Santa Monica, California.